Anna Wintour's daughter Bee Shaffer – everything you need to know about her | HELLO! 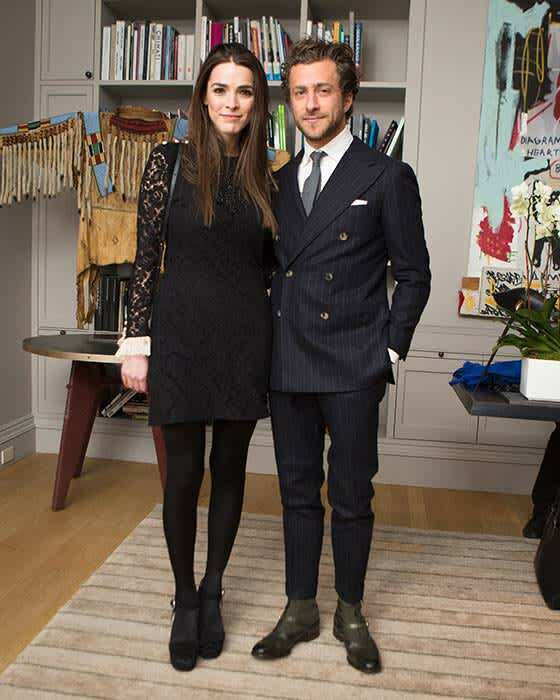 Bee Shaffer, the daughter of US Vogue editor Anna Wintour, announced her engagement to Francesco Carrozzini, the son of late Vogue Italia editor Franca Sozzani, back in March, with their wedding set to take place later this year. Considered fashion's latest power couple, the couple's big day is set to be one very lavish affair. In the lead-up to their nuptials, HELLO! Fashion have gathered together everything you need to know about the bride-to-be, and her life growing up as the daughter of Anna Wintour. Katherine "Bee" Shaffer was born in 1987, to Anna and award-winning physician, David Shaffer. She grew up in London with her parents and older brother Charles, until her mum became the editor of US Vogue - her parents divorced in 1999. Bee previously chatted to Teen Vogue about her life as Anna Wintour's daughter, and revealed one major similarity between the pair. "The one thing I inherited from my mom is that I really like to go to bed early," she laughed. She also gave an insight into the type of upbringing she had. "I'm very punctual, it was how I was raised. It's so easy to be on time, you've just got to make time for things," she said. Bee's teenage years were far more glamorous than most, seeing her attend the prestigious MET Gala, which Anna organises each year. Back in 2007, studious Bee even asked the person sitting next to her at the event to test her for a school exam. She revealed: "I had a Latin American history exam the next morning at 9am! The guy I sat next to, I was like, can you test me." The 30-year-old was also on the recieving end of some blunt honesty when she was younger: "I asked my mum to sign me up for acting classes when I was eight years old, but she accidentally signed me up for voice classes instead," she said. "We had a final performance and I sang Where Is Love from Oliver. My mum afterwards said: 'Well, it was a tough song!'" Despite being the daughter of one of the most influential editors, Bee still did internships like the rest of us. "I did a bunch of internships, and every time I worked in a magazine it was in entertainment. Then I realised I loved that!" Bee now works as a segment producer at US talk show Late Night with Seth Myers, but at one point toyed with the idea of following in her mum's footsteps. "I thought I wanted to be in journalism. My grandfather in an editor, my uncle is an editor, my mum is an editor. People think of my mum as working in fashion, but it's obviously journalism as well," she said.